Canadian Colada oatmeal sounds delicious. Please share the recipe once it’s fine-tuned! Thanks for your kinds comments. 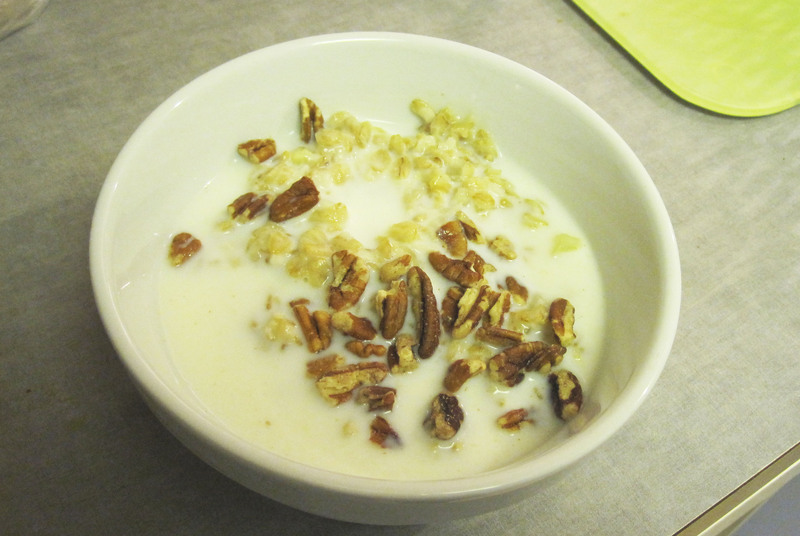 The recipe so far is, 3/4 cup coconut milk, 1/4 cup water, 2 tablespoons shredded coconut, 1/2 cup chopped pineapple, 1/2 cup oatmeal, dash of vanilla, 2 tablespoons chopped pecans and maple syrup to taste. The above did not seem coconutty enough. I’m not sure how many calories this is. Yes, the not-running-at all option was considered but I had made a commitment to meet others. Were this not the case, I would probably have run on the treadmill. As I write, I realize that I have not missed a day of running in 2011. Missed days of blogging = 4.